By making use of Utility mapping or utility locating, you can develop efficient project planning for maintenance and repair programs. Its users can also logically store locations and attributes of all assets, make better decisions based on comparison data of exactly what is where as well as working with your local municipal, county or state GIS data set for digital viewing of how the entire infrastructure works together. GPR’s ability to respond to both metallic and non-metallic features gives it the capability for pipe and cable locating. Unlike conventional cable locating devices that need metal pipes and cables to carry electrical current to be detected, GPR detects plastic, asbestos and concrete pipes and structures as well as metallic ones. Target depth can be estimated using instrument positioning and signal travel time. When outfitted with GPS and feature-tagging data loggers, a locating record can be provided as part of the standard locating and marking activity. Depth and location are critical in new structure designs. Extensive studies have shown that using SUE practices leads to cost benefits of 4 to 20 times. Successful SUE requires comprehensive mapping of all buried structures. Engineering design and construction can be planned effectively thereby greatly reducing costly surprises. GPR operating in survey and map mode delivers 3D images of the subsurface. SUE service providers now routinely exploit GPR’s ability to detect pipes and cables as well as other structures to deliver the most complete maps possible. Each project is different and unique and there are many variables to take into consideration such as which utilities need to be identified, moisture content of the soil, terrain as well as natural and man-made obstacles. Different equipment systems include the RD 7000 Series Pipe and Utility Locater and the GSSI Utility Locating Cart. 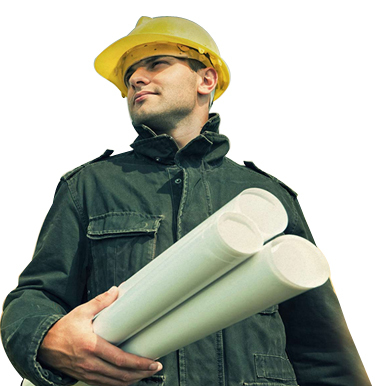 Develop more efficient project planning for maintenance and repair programs. Logically store locations and attributes of all assets. Make better decisions based on comparison data of exactly what is where. Create user-friendly access to information through GIS mapping of data. Make updating efficient, simple and fast. Work with your local municipal, county or state GIS data set for digital viewing of how the entire infrastructure works together. Produce printable, accurate maps and also use GIS on handhelds or internet-enabled laptops for on-site, in the field productivity. We use only the latest technology when it comes to utility mapping and you can rest assured that the imaging we provide is accurate and of top quality. If you would like to submit an online quote request, link your insurance with our company or contact us, feel free to do so. How does GPR Work to locate utilities underground? GPR has the ability to respond to both metallic and non-metallic objects giving it a unique capability for pipe and cable locating. GPR can detect plastic, concrete, and metal pipes, like gas lines or electrical conduits. What are the consequences of hitting an underground utility? Striking an underground utility can be absolutely disastrous both in terms of monetary cost and loss of life. When should I use a private utility locator? Underground hazards are everywhere and analysts can locate underground utilities including water lines, gas lines, electrical lines and conduit, communication lines, waste water pipes and cable lines. What type of “output” do you provide for mapping utilities? The typical survey output is to simply paint and pin flag the findings directly on the surface. GPRS now has the capability to provide you with a GPS map of your utilities. When you find an underground utility, do you know what it is? No. GPR can generally find the utility without much difficulty, but cannot determine if the piping is gas or water. How to locate underground utilities? Locating underground utilities are found by making use of professional GPR services.